SpendingDiary is a simple, functional web-based expense tracker that tags expenditures, generates reports, and gives good data on your money flow. The site has a completely functional demonstration account available—a nice touch that makes it really easy to test drive without handing over an email address. 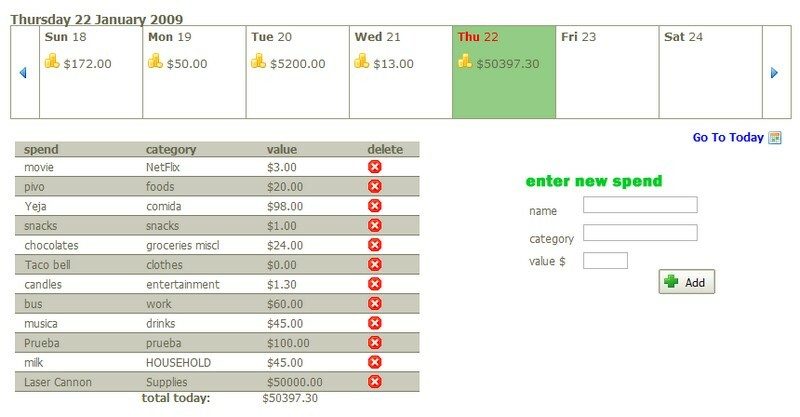 SpendingDiary has a simple interface—for every entry you assign a name, a category, and the amount you spent. You can generate reports for the day, week, month, or a custom date range, and your expenses displayed in a slick pie graph, broken into the tags you've set up. Your data is also exportable to other formats, including the ever-friendly CSV.